Come get some free training advice from John O’Regan on running in the Dublin Marathon, Sept 6th. With less than 8 weeks until the Dublin Marathon it’s now more important than ever to make sure you stay fit, focused and get the balance right as you approach the final stages of your preparation. Juggling the demands of your training with other life commitments will always require moving or changing sessions and to make sure you stay on course for the weeks ahead, you need to train smart, eat sensibly and make sure you’re getting the right amount of rest between sessions. 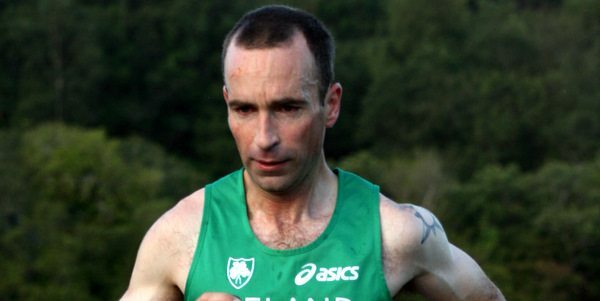 If this sounds like something you could do with some help on, come along to our free talk with Irish International Ultrarunner, John O’Regan and get some valuable tips and advice on how to monitor your progress and maximise your time in the lead up to race day. We can attest to John’s know how, he has recently won the Energia 24 hour race in Belfast, setting a new track record in doing so. He has also ran a marathon or ultramarathon on each and every continent, winning a few to boot so the man knows how to prepare for the race of your life. The talk happens instore on Tuesday, September 6th at 7.00pm. Book some free seats for you and your friends below. Book early to avoid disappointment.